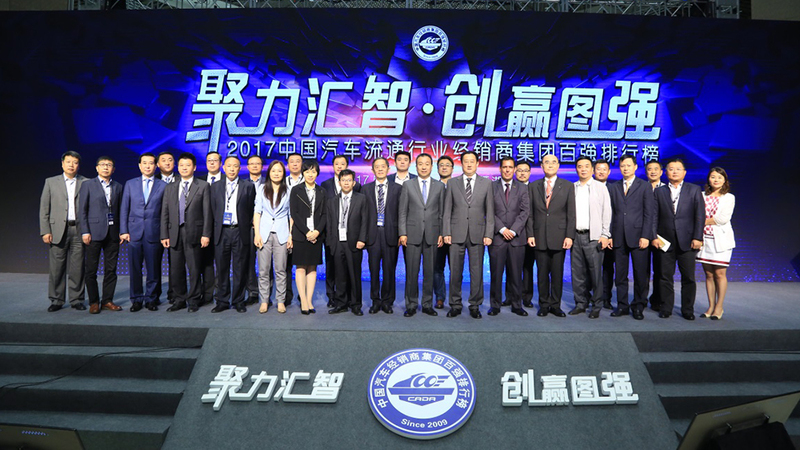 On May 25, 2017, the list of China Top 100 Auto Dealers was released by CADA in Yanqi Lake International Convention & Exhibition Center, the venue for the Belt and Road Forum and the venue for the APEC summit. 2017 marks the eighth year of the list release ever since its first publication in 2009. 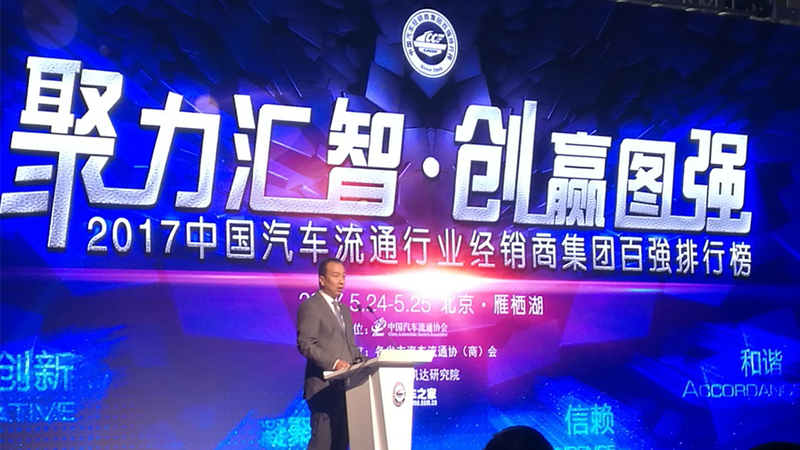 The theme of the 2017 release, "pool together and be stronger", calls for the industry’s bringing together the wisdom of the industry so as to create a win-win situation in many ways and to strive for even bigger and stronger auto dealers. China Rundong Auto Group Limited is a vice president union of the China Automobile Dealers Association and an enterprise on the China Top 100 Auto Dealers list. 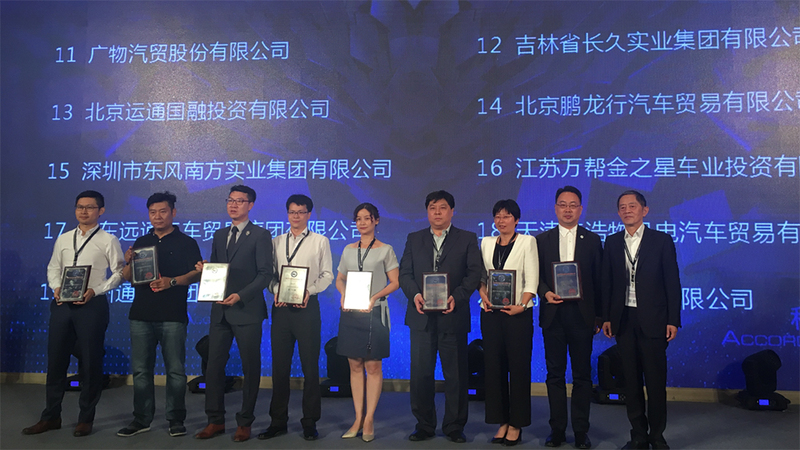 During the 2017 release, Mr. Liu Dongli, the vice president of the Company, attended the release and once again witnessed the exciting moment of Rundong’s refreshing the List. China Rundong Auto Group Limited ranks the 20th on the China Top 100 Auto Dealers list, two places higher compared to the 2015 list. What’s more, 2017 also marks the eighth year in a row where China Rundong Auto Group maintains its trend of moving up the list ever since 2009. Rundong’s ranking on the list indicates that the Group has achieved the phased market transformation under the triple pressures of the downward pressure of the macroeconomy, the intensified competition of the industry and the Company’s strategy of reducing costs. By seizing the market opportunity, the Company achieves its low cost expansion through merger and acquisition and effectively enhances stores’ profitability combining the strategies of regional management and professional management, and by adopting management models like financial control and operation supervision. In the future, China Rundong Auto Group Limited will continue its efforts in realizing its vision of “ To be a world-leading, comprehensive luxury auto service provider” by building an internally and externally unified support system, which is integrated, stable and and synergetic, and by establishing a new consumption system through expanding its access to external resources in an open and collaborative mindset.